Previews of my current projects. translations of ancient papyri. 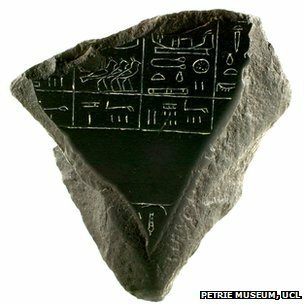 News of recent discoveries in Egypt. 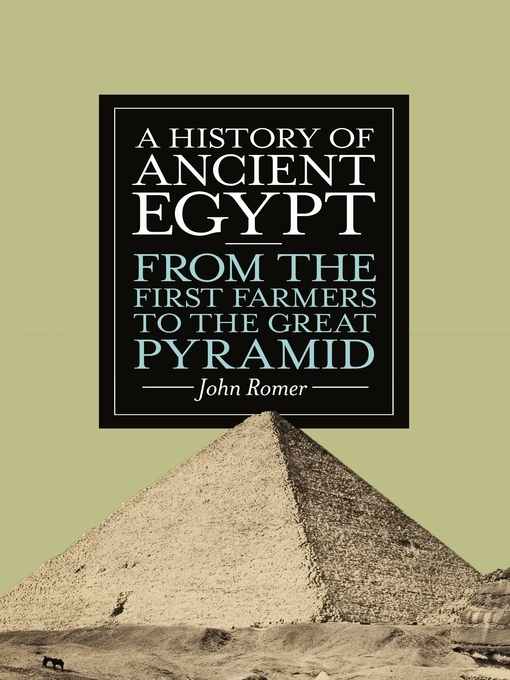 Videos, Radio programs & Podcasts about Ancient Egypt. From the mid-second century BC, – A petition from the village of Oxyrhyncha to the King and Queen of Egypt. To King Ptolemy and Queen Kleopatra, his sister, the mother-loving gods, greetings from Petesouchos son of Petos, Crown cultivator from Oxyrhyncha in the Arsinoite nome (province). I live in Kerkeosiris in the said nome, and there belongs to me in the village of Oxyrhyncha a house inherited from my father, possessed by him for the period of his lifetime and by myself after his death up to the present day with no dispute. But Stratonike daughter of Ptolemaios, an inhabitant of Krokodilonpolis, mischievously wishing to practise extortion on me, came with other persons against the my house and forced her way in laying claim to it wrongfully before any judgement has been given. I therefore pray you, mighty gods, if you see fit, to send my petition to Menekrates the archisomatophylax (archbodyguard) and strategos, (administrative assistant to the commanding officer) so that he may order Stratonike not to force her ways into my house, but, if she thinks she has a grievance, to get redress from me in the proper manner. If this is done, I shall have received succour. Farewell. Since the last newsletter I’ve been working through a list of jobs that were on hold during the Carlton Books ‘Egypt World’ project. A big update to Egyptian Hieroglyphs for iPad which included 177 new hieroglyphs from the Gardiner code:- K – Fishes, L- Invertebrates, M – Trees and Plants, N- Sky, Earth and Water, O- Buildings and P- Ships. There was a bug in this update for people who are running IOS6 – the screen did not rotate properly so I fixed this and also added Q- Domestic & Funerary Furniture hieroglyph images. I’ve been giving much thought to getting Egyptian Hieroglyphs working constantly on all the multitude of different Android devices. I’ve just finished Ramesseum Second Court limited edition fine art print – I’ve held back edition numbers for people who bought Opet Festival at Karnak to make a matched pairs. 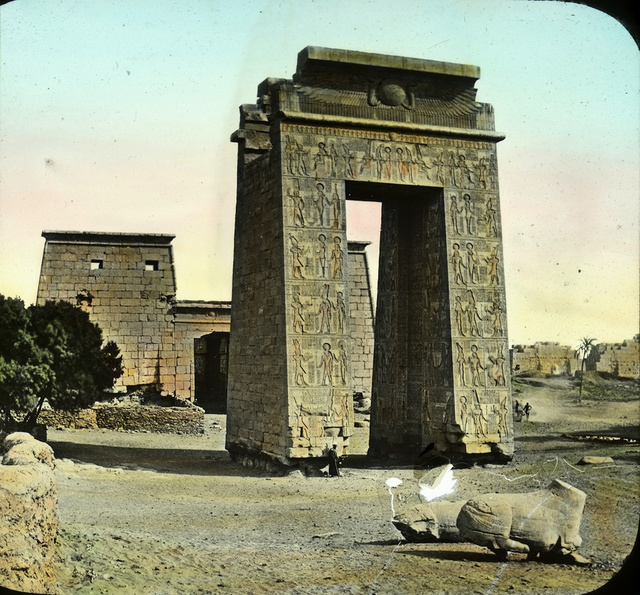 The Ramesseum is the mortuary temple (public tomb) of Pharaoh Ramesses II. 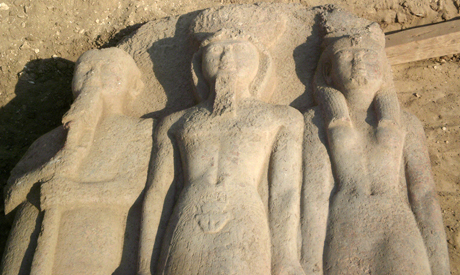 It is located in the Theban necropolis on the western side of the Nile near the modern city of Luxor. 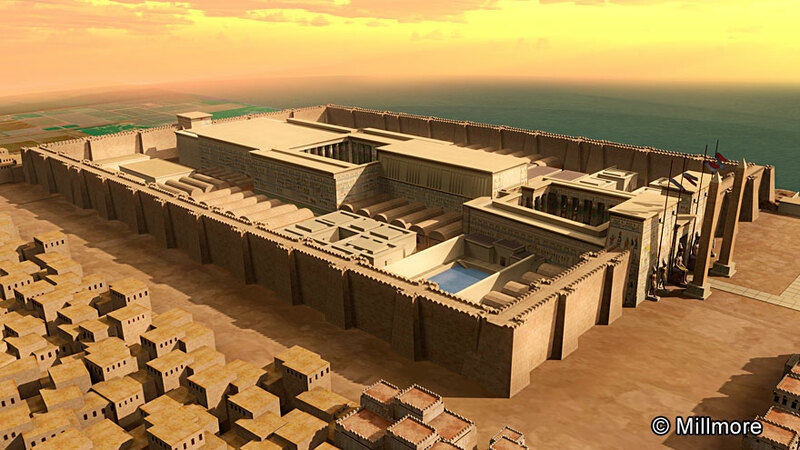 Today the remains of the second court include the Osiride portico in front of the hypostyle hall. Its Osiride pillars and columns together with the scattered remains of the two seated granite statues of the king give an idea of the building’s original splendor. 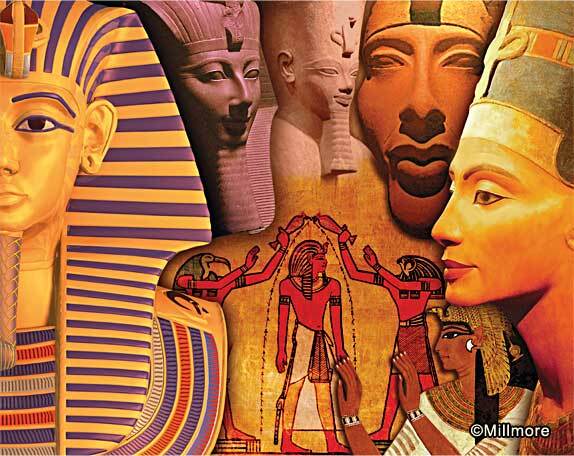 This reconstruction shows an elderly pharaoh, possibly Ramesses II, and his entourage in the foreground. To the left are three priests consulting papyrus scrolls, in the background we can see and elderly priest being helped down the steps and in front of the left statue four priests are bowing before an offering table. 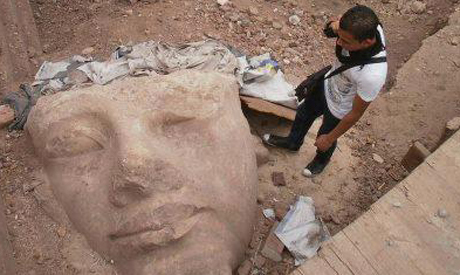 Ancient Egyptian artifacts deteriorate in Cairo’s central museum due to poor conditions. This is something I’ve been grumbling about for years; after my many visits to Egypt were I’ve seen, first hand, inexcusable archaeological incompetence. In fact I believe the current generation of Egyptologists should halt all excavations, concentrate their efforts in preserving what we have and leave stuff in the ground were it is safe so that future generations will have things to excavate. 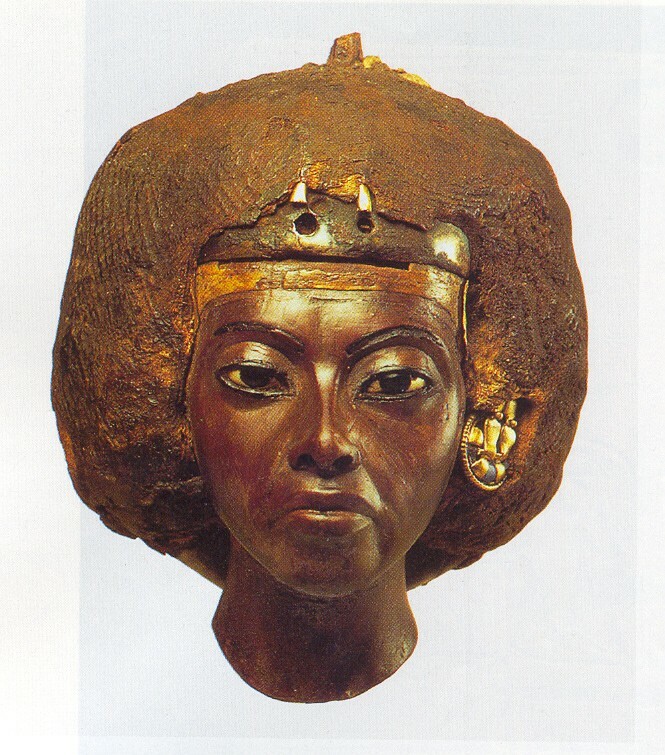 But I believe most Egyptologists are more concerned with their careers than the welfare of the artefacts they dig up. I’m sure lots of people will disagree with me. In this Academy Award nominated epic story set in ancient Egypt Pharaoh Ramses XIII defies tradition by assuming command of the military, a post usually occupied by priest. His defiance leads to a battle between those loyal to Ramses XIII and the power structure of priests. The priests try to foll the people by capitalizing on a solar eclipse, but Ramses XIII realizes the event is only a natural phenomenon. Impressive battle scenes and periods costumes from ancient Egypt add to this colorful epic historical drama. Angry about Senefru pyramid deterioration? The mobile phone version of the Discovering Egypt website.